The Austin-based “Rock and Roll Murder Cult” known as Sur has a new music video. It is for a song off their self-released Sur/Haints Split Cassette. UPDATE: The band asked me to share the mp3. 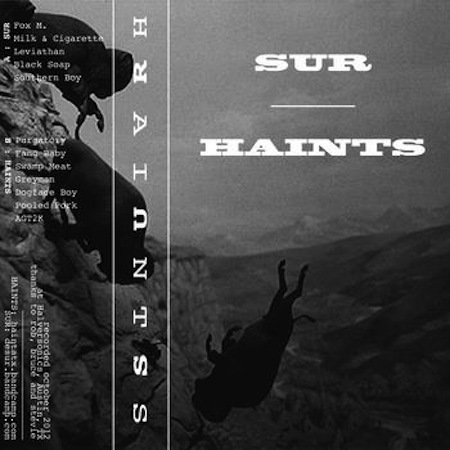 You can buy the Sur/Haints Split Cassette @ desur.bandcamp.com and you can stream it using the widget below. Hopefully, Sur will travel North and play some shows in NYC in the not-too-distant future. UPDATE: The band should be playing some shows around NYC this September.